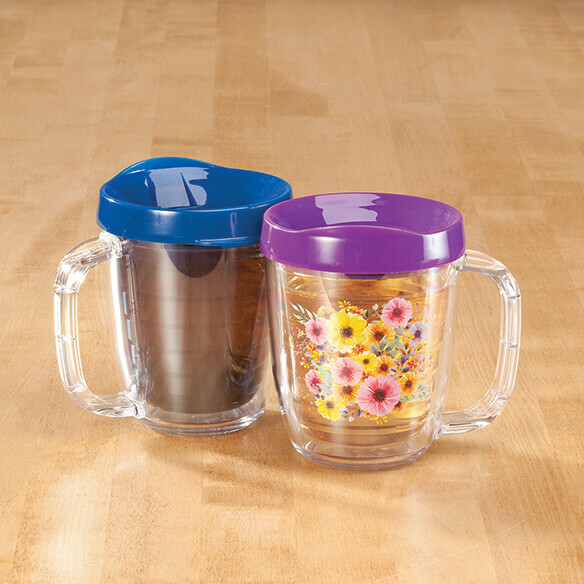 Keeping contents piping hot or icy cold, this double-wall insulated thermal mug is your beverage hero for home or travel! Made with quality in the USA, the Tritan™ 12-oz. Insulated Mug is constructed from sturdy, FDA-approved plastic that's completely BPA-free—and Tritan backs this durable travel mug with a lifetime replacement guarantee. Thanks to double-wall construction, you can even microwave soup or oatmeal in it without using a pot holder. The outside stays cool to the touch and comfortable to hold, while contents stay nice and hot! 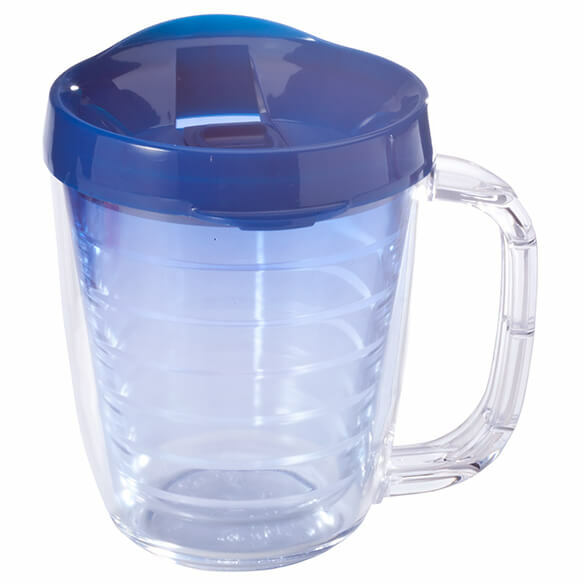 Featuring an easy-grip handle and spill-resistant lid with thumb-slide for on-the-go sipping, it's perfect for travel, home or office. Lightweight, durable and wonderfully versatile, the 12-oz. 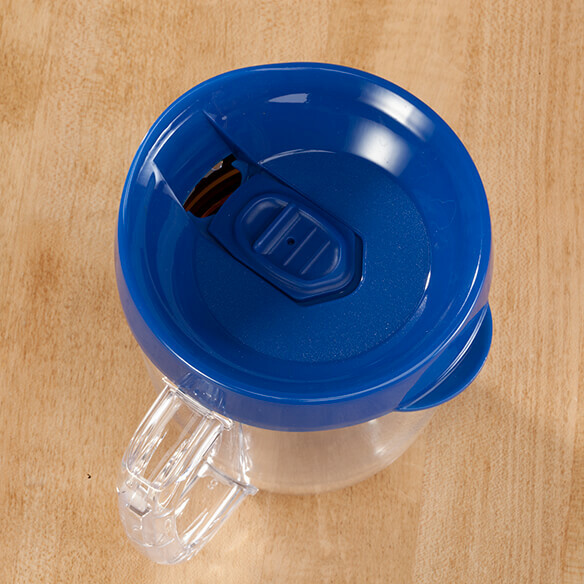 coffee mug is safe for dishwasher, freezer and microwave (lid is not microwave safe). It will keep my tea hot while I eat breakfast. It always gets cold too fast in a regular ceramic cup. 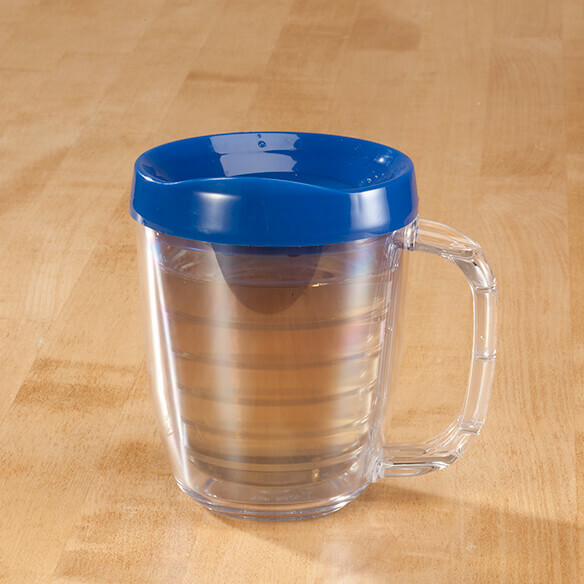 We were interested in mugs that might be resistant to spilling and are insulated.